Packing the right clothes for travel in Europe, and getting the right mixture of style and comfort, is always a challenge. On a recent day trip to Bergamo, Italy, however, I think I hit on a winning travel style. 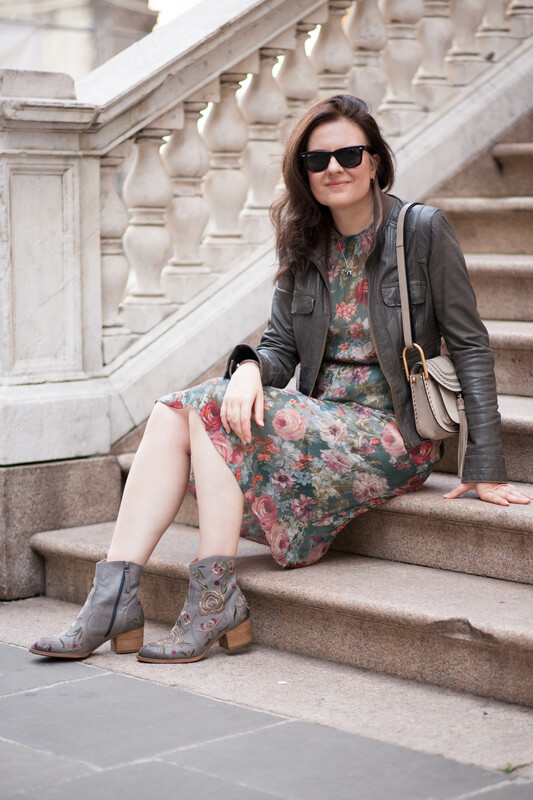 I wore a midi length flower dress and paired it with super comfortable embroidered flower booties and a leather jacket. I was comfortable all day and looked stylish enough to go to dinner after a whole day of sightseeing. Be sure to check out my newest travel video below, and experience Bergamo for yourself.